FISH, Hamilton, (son of Hamilton Fish [1849–1936], grandson of Hamilton Fish [1808–1893], and father of Hamilton Fish, Jr. [1926–1996]), a Representative from New York; born in Garrison, Putnam County, N.Y., December 7, 1888; attended St. Marks School; was graduated from Harvard University in 1910; elected as a Progressive to the New York State assembly, 1914-1916; commissioned on July 15, 1917, captain of Company K, Fifteenth New York National Guard, which subsequently became the Three Hundred and Sixty-ninth Infantry; was discharged as a major on May 14, 1919; decorated with the Croix de Guerre and the American Silver Star and also cited in War Department general orders; colonel in the Officers' Reserve Corps; delegate, Republican National Convention, 1928; elected as a Republican to the Sixty-sixth Congress to fill the vacancy caused by the resignation of Edmund Platt; reelected to the Sixty-seventh and to the eleven succeeding Congresses and served from November 2, 1920, to January 3, 1945; unsuccessful candidate for reelection in 1944 to the Seventy-ninth Congress; author; was a resident of Cold Spring, N.Y., until his death there on January 18, 1991; interment in Cemetery of Saint Philip's Church in the Highlands, Garrison, N.Y.
Papers: ca. 1711-1984, 42 linear feet. Papers concern Hamilton Fish's career in Republican politics and his historical interests, but also include papers of his grandfather Hamilton Fish and his great-grandfather Nicholas Fish. 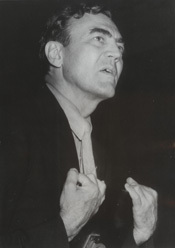 Fish's papers include letters, some of which are transcript copies; manuscript and typescript articles, speeches, and notes; clippings, including items from the Congressional Record; telegrams; photographs and prints; biographical articles and printed versions of family documents; invitations and other memorabilia; and scrapbooks. Subjects include Republican politics, anti-communism, the state of Israel, Judaism, American Jews, Fish's assessment of Franklin D. Roosevelt, the Marquis de Lafayette, the Order of Lafayette, American presidents and other political figures, American sports, and Fish's interest in the history of Dutchess, Putnam, and Westchester Counties, West Point, black troops in World War I, and General MacArthur. Papers of his grandfather Hamilton Fish (1808-1893), New York Governor and United States Senator, consist of letters, receipts, accounts, agreements, and appointments, 1822-1893, concerning family news, business matters, legal questions, almshouse affairs, political and campaign matters, legislative affairs, and St. Mark's Church. A finding aid is available in the repository. Papers: In the Isadore Breslau Papers, 1911-1975, 1.5 linear feet. Corrspondents include Hamilton Fish. Papers: In the Joel E. Spingarn Papers, 1934-1938, 17 items. Correspondents include Hamilton Fish. Papers: In the Percival Flack Brundage Papers, 1918-1979, 14.8 linear feet. Persons represented include Hamilton Fish. Papers: In the Helen Beatrice Cooke Miller Thornburg Papers, 1917-1941, 5 items. Correspondents include Hamilton Fish. Papers: 1922-1942. 8 letters. Finding aid in repository. Papers: In the Campaign for World Government. Records of the New York Office, ca. 1917-1972, 14.25 linear feet. Correspondents include Hamilton Fish. Papers: In the Hamilton Fish (1926-1996) Papers, 1968-1994, 101 cubic feet. Persons represented include Hamilton Fish (1888-1991). Papers: In the John Martin Vorys Papers, 1921-1968, 91 cubic feet. Correspondents include Hamilton Fish. Papers: In the Fish Family Papers, 1785-1936, 1 box. Persons represented include Hamilton Fish. Papers: In the Ferry Family (William Montague Ferry) Papers, 1822-1905, 0.8 linear foot and 1 oversize folder. Correspondents include Hamilton Fish. Papers: 1940-1941, 3 items. Correspondence between Hamilton Fish and Lewis Mumford. Papers: In the Colonel William M. Connor Papers, 1908-1949, 730 items. Correspondents include Hamilton Fish. Current, Richard Nelson. "Hamilton Fish." In Public Men In and Out of Office, edited by John Thomas Salter, pp. 210-24. Chapel Hill: University of North Carolina Press, 1946. Troncone, Anthony C. "Hamilton Fish, Sr. and the Politics of American Nationalism, 1912-1945." Ph.D. dissertation, Rutgers University, 1993.